Using the right macro photography technique starts with using the right macro photography optics. There are advantages and disadvantages to every macro photography optics system you can use. This article will help you better understand your options when it come to the right technique (lens) to use. 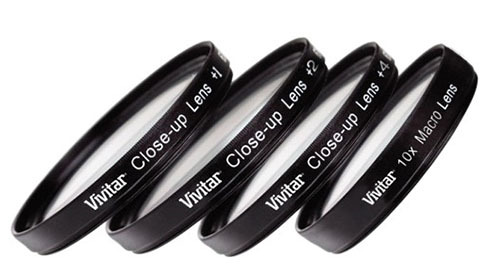 A close-up lens, or close-up filter, is a simple, single element lens, a magnifying glass that attaches to the front of your existing camera lens. It lets you focus on a subject from a closer distance. These are available for point and shoot cameras, and smartphone cameras too! They are the most affordable option for a macro lens, especially if you buy used close up filters from a reputable source or a web site like eBay. Just make sure there are no scratches or other defects.The disadvantage is that you are adding another piece of glass between your subject and your sensor and the glass quality will not be as good as a dedicated macro lens. The advantage is that they are small, lightweight, and easy to add or remove from your lens. As a young boy, this is how I got my start with macro photography. You can enter the fascinating world of macro photography, getting outstanding quality, and not investing a ton of money by using macro extension tubes. This is how I started experimenting with macro photography once I started shooting digital photography. Just like with a dedicated macro lens, you need a camera that has a removable lens. You simple attach them between your camera and its regular lens and you shorten the minimum focus distance. You can "stack" them in any combination for a wide variety of magnifications. 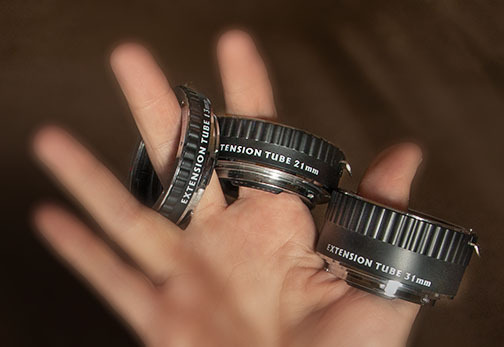 I purchased these 3 extension tubes by OPTEKA. The longer the extension tube, the closer you can focus. The negative to using one or more of these tubes is that you lose the ability to focus out to infinity. If you want to be technical, they really aren't lenses at all. They have no optical elements-they're just hollow tubes. Also since you are extending the distance from the optical glass of your lens to the sensor, you lose some light as well. The upside to them is that they’re simple, contain no glass, relatively cheap, and stack-able. This OPTEKA set included 31mm, 21mm and 13 mm lengths. This extremely close, abstract-looking photo was taken using these extension tubes. The actually size of this flower, from edge to edge, was only about 1/2 inch (1.27 cm), so you can see how great the magnification can be with a few extension tubes hooked together. Discovering how to do macro photography involves getting to know the advantages and disadvantages of each kind of equipment and the technique needed. 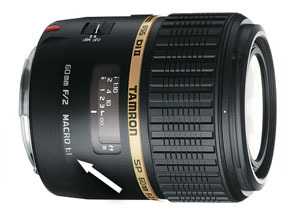 The most popular and most expensive, with the highest quality optio, is a dedicated macro lens. These are only available for camera systems with interchangeable lenses. A true macro lens can produce a 1:1 image to subject ratio and can focus out to infinity. This means that you can take super close-up photos of your subject, then refocus and take a distant photo without having to switch lenses or remove equipment. Longer focal lengths lenses giving you a greater working distance from your subjects. For example, a 100mm macro lens might allow you to shoot from as far as 12 inches from your subject and still achieve that true 1:1 magnification ratio. 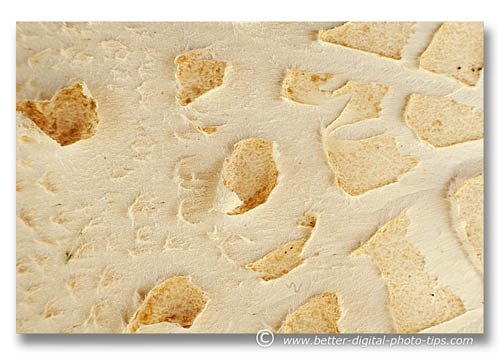 In this article I have used close up and macro photography as interchangeable terms. If you want to be technically accurate, macro photography techniques would only be for 1:1 magnification or larger. That is to say, where the image on your sensor is as big as or bigger then the actual subject you are photographing. Many consumer level cameras have a “macro” mode on them, and many SLR lenses claim to be macro, even though they are technically not. My advice is to enjoy using macro photography equipment whether it is technically "Macro" or not. Here is more on macro photography lenses. One unique way to get highly magnified macro photos is to use two existing lenses in a technique called Lens Stacking. This is a technique I learned from Popular Photography magazine a long, long time ago. Lens stacking involves holding or attaching two lenses, face to face to magnify your subject. This is a great thing to do with any old 35mm film lenses you may have access to. The shorter lens is reversed and is usually attached to the end of the longer lens which is attached to the camera in the normal way. The two lenses are held together with a male-to-male filter adapter. You'll lose autofocus and auto exposure functions, so it may take a little more time to get a great photo, but if you're not in a hurry you can't beat the price of this macro photography equipment setup. If your lenses are old and not being used for anything else, you can even tape them together for this macro technique. Using the formula below, you can figure out the amount of magnification that you are achieving for any two lenses that you use. 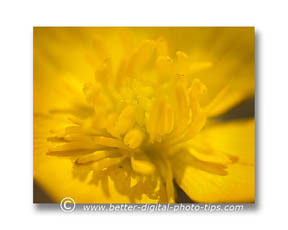 This is a very affordable way to enter the world of macro photography and you can great magnification of your subject. It'll just take you some time playing around to get things set just right. If you have a 100mm telephoto as the main lens and you reverse the 50mm lens, your magnification would be 100 divided by 50, or a 2x magnification factor. A longer telephoto such as a 200 mm lens would then give you a whopping 4x magnification factor. It is not an exact formula, but it give you a good estimate of the amount of magnification when you use this lens stacking technique. you may be putting the inside part of your lens at risk for scratches or dirt. The other macro photography technique regarding equipment is the use of a good tripod. When working at close distances, shutter speed and depth of field control are almost an issue to be aware of. Probably 95% of the macro photography I do requires the use of a tripod. I wrote a review on a lightweight carbon fiber tripod Carbon Fiber Tripod-Rocketfish Reviews that I like. It is lightweight, sturdy and great for travel photography. Macro photography of insects may require a different technique because they are often moving, so a tripod becomes difficult to use. Many photographers use external flash units to provide enough light to have a very quick exposure to prevent any motion blur. This technique eliminates the need of a tripod. Magnifying filters, extension tubes and actual macro lenses are the most well known techniques used by the beginning photographer. There are however many more options for macro photography equipment. Lens options and macro lighting are discussed in this article on Macro Photography Equipment. The advantages of using digital photography combined with the many ways to practice your macro photography technique literally provide you with an entirely new world of creative possibilities. Brush up on your photography composition skills and your knowledge of photo exposure and lighting and as always........Happy shooting and good luck with your macro photography technique. In the macro photo of the mushroom above, I had to use a tripod to get a sharp image because at an aperture of f/16 I needed a shutter speed of 1/5 second to get a good exposure.